If you ever lost your hope that Samsung still has plans for flexible displays on the Galaxy Note 3, then it’s time you get them back together, as Korean website Asia Economics is reporting that they are still considering the idea. The problem with introducing flexible displays inside the Note 3 was the fact that Samsung’s production facility might not be able to supply enough units to support the large demand for the flagship device. 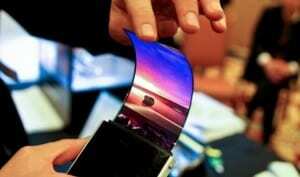 In previous reports we have heard that Samsung is facing big problems with the production of OLED flexible displays, and that there was no chance to introduce the technology this year. The report by the Korean publication is somehow questionable, as they are saying Samsung will make up their mind at the end of August. We already know that the Note 3 will launch in September at IFA Berlin. Isn’t this a too close call for Samsung? On the other hand, this is Samsung we are talking about, so they probably have the ability to ramp up production and meet the target in just a few weeks. We are still waiting for something concise about the Note 3, so don’t take this rumors too seriously. We just have to wait and see what the Korean giant has in stores for us.